American Chestnut was the perfect tree – tall, straight, fast growing and plentiful. The wood is strong and light, rot resistant, stable, beautiful and easy to work. Unfortunately, in the early 20th century the American Chestnut was all but eradicated by the Chestnut Blight, leaving us poorer for its loss. While there is no new chestnut lumber, we can still occasionally turn up a little bit from farm buildings, factories and mills that are being demolished due to neglect or changing land uses. We always jump at a chance to reclaim American Chestnut! This batch was milled from posts and beams reclaimed from a tobacco warehouse in Kentucky and features the warm color, beautiful grain and distinctive wormholes and oxidized nail holes that reclaimed chestnut is known for. Our Chestnut Paneling is milled specifically for accent walls, ceilings and other applications where you would like the look of real, authentic wormy chestnut in an easy to install form. 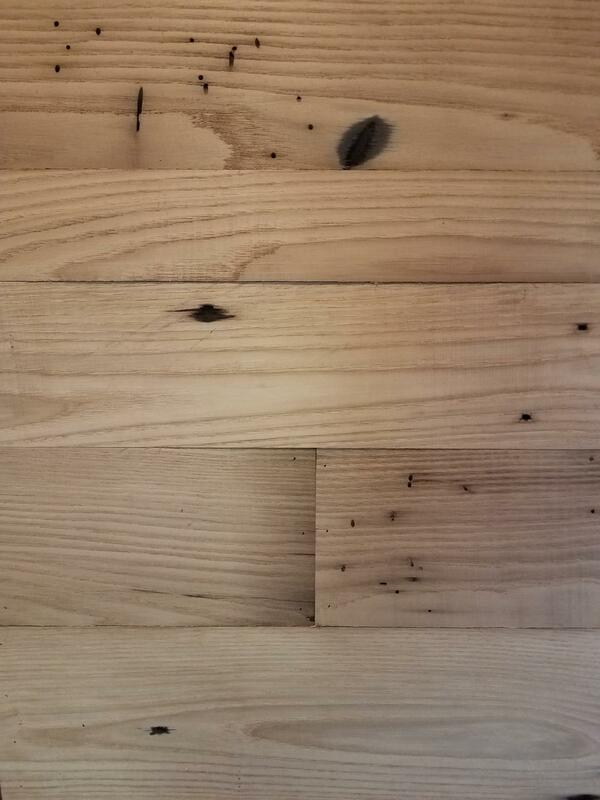 We make our Chestnut Paneling at our mill in Monroe, Georgia from wood reclaimed from houses, barns, and mills of Appalachia. Each plank is a piece of our collective history and we are proud to offer it to you for the next chapter of its story.